Why is patch management for small businesses so important? One word! … Hackers. I am sure there are plenty of other words we can use to figure out why patch management is convenient for small businesses, and for big businesses too. But let’s face it. Small businesses barely have the time, skills, or the money to optimize their websites. If you plan to run an online store, or just a secure website with sensitive data stored in it, that may be locked away by a password, or better yet … an encryption. Make sure you update your software, the computer and its patches. A lack of updating your patches leaves avenues and doorways vulnerable for hackers and spammers to wales right into your corporate environments and taking advantage of the breach often without the system administrator noticing or realizing they’re being hacked. Patching your network seems tedious, we know, but not having a secure network or software updated leaves your computer vulnerable not only to hackers, but to other noticeable malfunctions in your software pertaining to your productive environment. Most system administrators are also not aware that patches also fix severe security bugs that may not be currently visible to them, while a delay in patching these software and security bugs means keeping their corporate network vulnerable, at high risks to threats, and unsecured. Therefore, keeping your computer updated lowers any risk of threats pertaining to your corporate network. Startup businesses lack the foresight to these quandary conundrums. Unless have been experience in IT themselves, or have been told beforehand by IT professionals about how patch management for small businesses is so important; plenty of small businesses currently may be running with outdated software, and no patches which will leave vulnerable doors open for attack. Patches can be downloaded easily, and you can choose to select automated or manual maintenance. 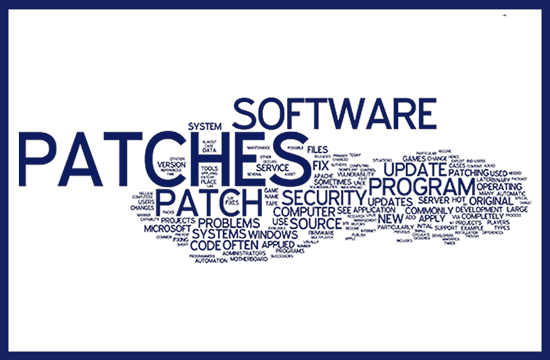 Professional patch management software can be of great assistance to systems administrators. It can keep you automatically informed about new patch releases, each release noted for each different product can be viewed conveniently from one centralized user interface. It can save the administrator a lot of time and not need to worry about keeping the network safer as often. A great asset for any startup-small business owner, not knowing much about patch management for small businesses. The planning and deployment of software installations from patch management software’s are also much faster, requiring only a few clicks to complete installation. Patch management software’s also provide monthly inventory reports. Saving time for small business owners to collect the necessary data to write a full report. Not only that, Patch management software’s also allow you to customize your reports and allows the parameters to easily be changed. If you are new to the IT world, and want to make sure your computer is running smoothly, make sure you update all your software, some software needing of update can include your – Windows update, Java, Oracle Java, Adobe Flash, Adobe Reader, Drivers (But with modern Windows Updates, especially after Windows XP, the need to update drivers seems to almost be obsolete…for now).